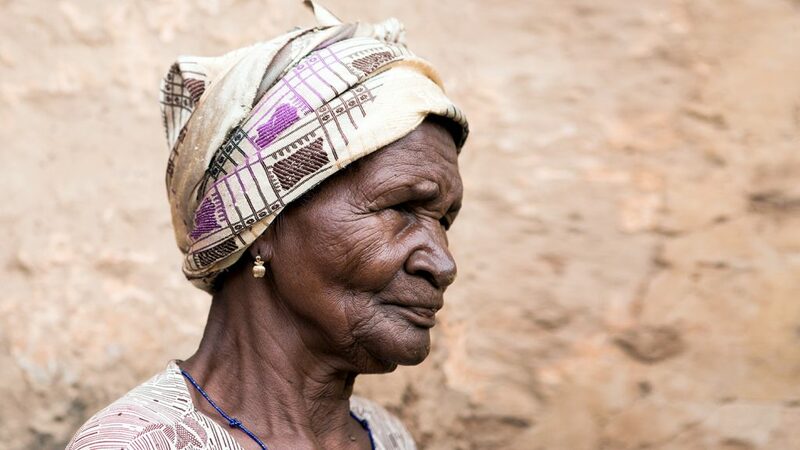 In June 2018, Ghana made history as the first country in sub-Saharan Africa and the Commonwealth to eliminate trachoma, as validated by the World Health Organization. The final treatment campaign in the country took place in the northern province of Yendi, where community health workers travelled door to door to find any remaining patients that needed treatment for the disease. 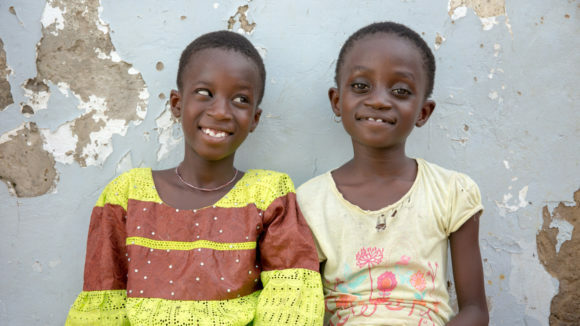 Here are the stories from that final campaign in Ghana: each person was diagnosed with advanced trachoma and referred for surgery to save their sight. This treatment ensured that mothers were once again able to care for their children, local women were able to return to work, and patients were no longer trapped indoors, unable to socialise or look after themselves. Sisters Barikisu and Ayishetu sit outside their home with bandages covering their eyes, following their trachoma operation. 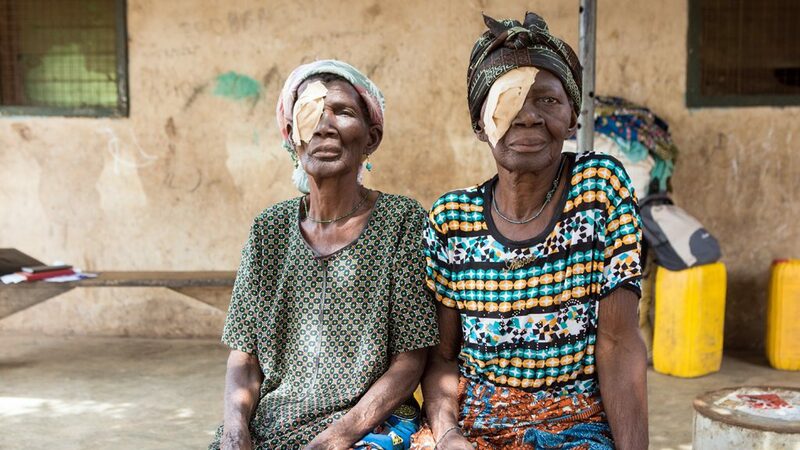 When eye health workers visited sisters Barikisu and Ayishetu, both midwives, they found they were struggling to do their job and deliver babies because trachoma was robbing them of their sight. The sisters could hardly see, and could only walk the short distance between their houses. But after having surgery, they can now see, travel and deliver babies again. 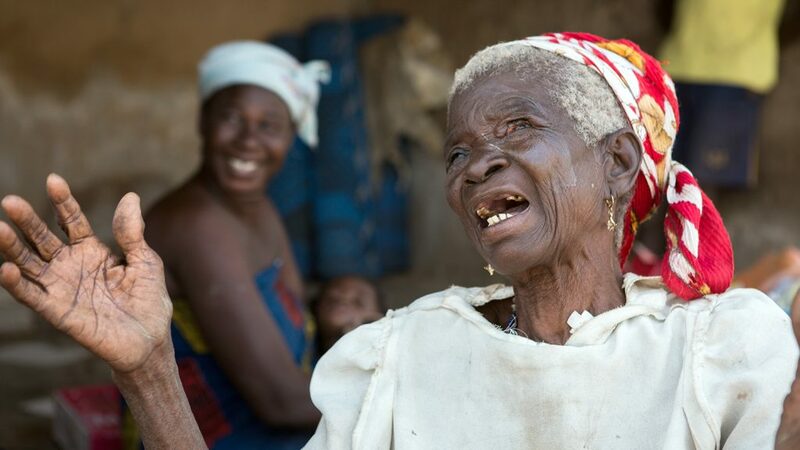 “I can’t remember exactly how long I’ve had this problem – more than a year,” said Ayishetu. “It felt like there was something in my eye, a pricking sensation and a lot of pain. I could help the new mothers bathe their babies, but I couldn’t deliver like I used to. It was hard to see the mothers in labour and not be able to help. I had difficulty carrying out daily tasks – I could only see blurriness. 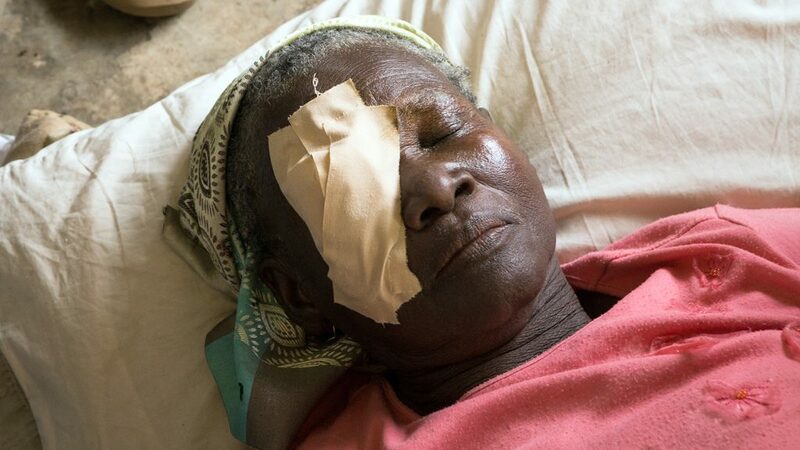 Fuleira rests in bed with a patch on her eye following trachoma surgery. Fuleira had struggled with eye problems for at least two years, which had left her feeling isolated – she couldn’t attend any of the local community events with her neighbours and friends. She was also unable to continue her job in the market, where she worked before her eyesight failed. “It started with itching, then later it felt like there was something in my eyes and they started watering,” she explained. “Before the surgery I couldn’t visit people, or go to funerals and naming ceremonies. That made me feel very uncomfortable: if they give you an invitation and you don’t respond, when your own comes people will not attend. “When they told me that they were going to do the operation, I didn’t know what to say – I was happy, very happy! Now I can see again. If I get money I will go back to the market to continue my business. Now I can see my children and grandchildren – I can see the food I am eating. Rahinatu smiles outside her home. Rahinatu had suffered years of unbearable pain in her eyes, and her eyesight was so poor she had been unable to walk very far. She was forced to stay indoors, isolated from her normal life – she had never even seen her granddaughter Miriam’s face. 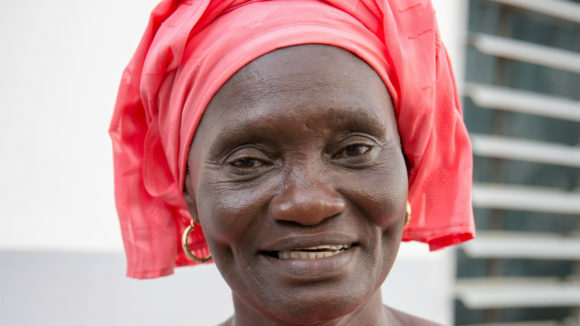 After being diagnosed with advanced trachoma, called trichiasis, she was able to have straightforward surgery to restore her vision and stop the pain. By coincidence, the operation coincided with Miriam’s naming ceremony, and her village was buzzing with activity and excitement as friends and neighbours gathered to celebrate. Just before the ceremony began, Rahinatu had her bandages removed and found she could see Miriam’s face for the first time. The look on Rahinatu’s face was pure joy. “My eye feels better – it’s comfortable now,” she explained. “I’m happy, I want all the people who have helped to be my friends. At first I didn’t want to have surgery, but I went through it successfully so I thank god for that. 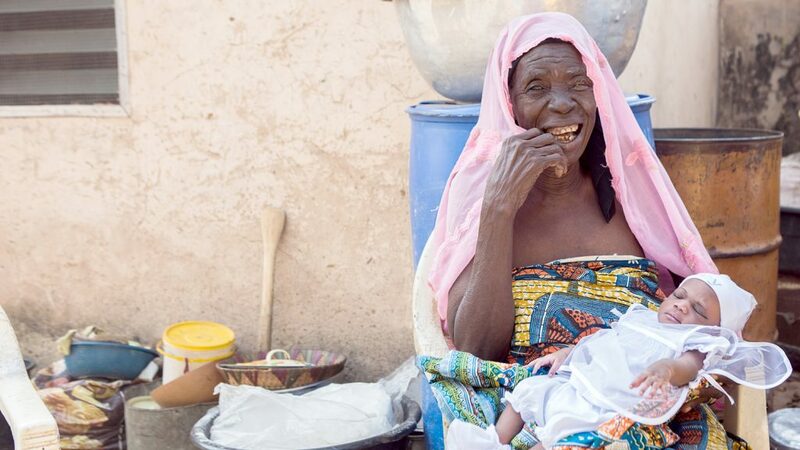 Zeinab had such advanced trichiasis that she was struggling to cope with the daily demands of life, which included cooking and caring for her daughter, who has physical disabilities. 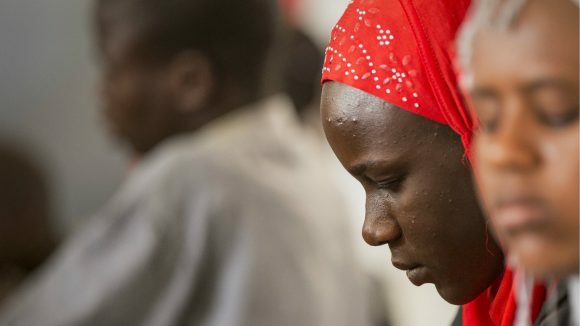 At first, Zeinab was afraid and refused the offer of surgery. But after some gentle reassurance, all it took was a 20-minute operation, carried out in her home, and years of pain, discomfort and suffering were over. Zenabu dances and sings with joy after having her sight restored through surgery. 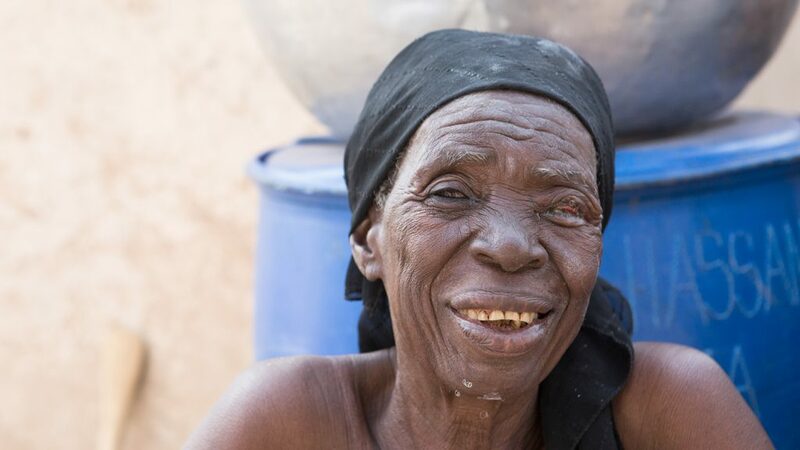 Zenabu had had problems with her sight for at least three years: she was forced to stay indoors and had developed sores on her body from lack of movement. She was reliant on her daughters-in-law and was unable to work or cut firewood for herself. She couldn’t see what she was eating, and said she would often eat flies if they fell into her food.